Whether it is Massage Therapy, Reflexology, Reiki, Facial Treatments or any of our other services, perfection is our goal. Our peaceful atmosphere combined with our nothing less than exceptional service keep our client's returning over and over again. Experience our "75 minute signature massage" and give yourself a little extra time to relax your body AND SPIRIT. Anam Cara, an old Irish term, means soul friend. When you have an anam cara, you are accepted and understood unconditionally, there is a deep sense of belonging and recognition, and you feel at home. That’s how we want our clients to feel when they visit us at Anam Cara Wellness. We are conveniently located in the heart of the quaint town of Vienna, just one mile from the Vienna Metro Station in Fairfax County, Virginia. We are less than a 10 minute drive from Tyson's Corner, on Route 123 which becomes Maple Avenue when you enter Vienna. Since opening in 2006, our clients have come from all over the Northern Virginia, Maryland and DC area to be pampered, healed and balanced with the best massage therapy in the area. Our location is only minutes from Reston, Herndon, McLean, Oakton, Falls Church and Centreville VA.
Anna Schachinger, facilitator of Anam Cara Wellness, LCMT, Reiki Master Teacher, Certified Reflexologist, Belavi Facelift Massage Specialist, and Manual Lymph Therapist has developed her own “signature” massage session. Anna has given many treatments combining massage with Reiki to enhance her client's release of physical and emotional stress. As a massage therapist, her rhythmic technique has been highly praised by clients and fellow massage therapists for its effectiveness in opening energy channels and inducing deep relaxation while experiencing therapeutic massage. Anna also specializes in deep tissue massage and trigger point release of the shoulders, back and neck, as well as manual lymph drainage therapy. Stress, sitting in traffic, weight lifting, repetitive movements and fibromyalgia are all contributors of tight muscles and active trigger points in the shoulders and neck area. Using these techniques can assist in releasing the restrictions in the muscles that cause pain and stiffness. It is of the highest importance to Anna that her clients receive a personalized, caring and healing session. To make an appointment with Anna, please email her at Annie@AnamCaraWellness.com. Anna will not be taking new clients until June 2018. Striving to give the best therapeutic and healing sessions to all of her clients, it is important to her that the time spent with each of them is of the highest quality. To schedule ahead for February, please feel free to send an email to Annie@AnamCaraWellness.com. Upon request, receive the best in massage combined with 100% organic aromatherapy gem oils from ISUN. These exquisite oils and herb-infused butters will hydrate your skin, relax your mind, and completely engage your senses. It's heavenly! ISUN ORGANIC FACIAL TREATMENTS! A West Coast Favorite! you may never want to use anything else on your skin. This is the ultimate luxury raw spa line! These amazing and most effective "anti-aging" products have beenreceiving rave reviews on the West Coast for being one of the year's best in effective organic skin care. ISUN's 100% Organic, wild-crafted ingredients are selected for their natural regenerating, anti-inflammatory, antioxidant, antimicrobial, purifying and moisture-balancing benefits. They are handmade in a lab facility in the San Juan Mountains of Colorado where the natural environment is pure and clean. All of the products are made with the greatest care and all who handle the ingredients are sensitive to elevating their mental and emotional states to ensure their purity and positive energy. Age-defying, youth-renewing results can be found in raw, vegan, organic, and wild-crafted products! ISUN's Product Mission is to produce the most advanced, highest integrity organic & natural skin care products teaming with life & energy, for the purpose of restoring, rejuvenating & giving pure vitality to one's skin, senses, health & well-being. To learn more about ISUN and their featured ingredient ORMUS as well as other product information, please visit www.ISUNskincare.com. cleansing, exfoliation, purifying, clarifying and hydrating masks, age revitalizing serums and moisturizers, a lifting and firming facial massage with exquisite ISUN facial oils, a relaxing shoulder and arm massage with ISUN's chakra balancing gem body oils and herb infused body butters and ending with 15 minutes of Reiki or a heavenly foot massage. There are no extractions with this facial. Please contact (571)236-8096 or email Annie@AnamCaraWellness.com to make an appointment. Your skin and your senses will love this skin rejuvenating treatment! Any therapeutic combination you choose will make you feel totally pampered, relaxed and rejuvenated. For more information or to make an appointment, call Anna at (571) 236-8096 or send an email to Annie@AnamCaraWellness.com. Products used at Anam Cara Wellness are high grade organic or botanical in nature with no chemicals, parabens or perfumes. We are fussy about what we use on our own skin and feel the same way for our clients. The aromatherapy fragrances used are of pure essential oils only. Marybeth Spain is a Virginia-licensed Board-Certified Massage Therapist through the National Certification Board for Therapeutic Massage and Bodywork. She excels in helping clients relax more deeply, release stress, and feel more inner harmony and wholeness through her practice of Reiki and Energy Restructure. Marybeth also teaches meditation and is a certified spiritual-development instructor through the Free Soul program. 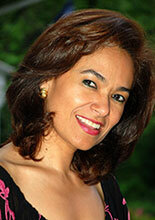 She has been a Reiki practitioner and Free Soul instructor since 1987 and Reiki Master since 1993. She added Energy Restructure to her practice in 2000. Marybeth offers private Reiki and Energy Restructure sessions, Reiki trainings (Levels 1, 2, and Master), and instruction in relaxation and meditation, which she often integrates into her sessions. Mental anxiety, emotional distress, and physical injury can cause our underlying energy system to become sluggish, blocked, or stagnant. Reiki, Energy Restructure, and meditation are outstanding processes for the release of such physical, mental, and emotional tension. Marybeth helps clients minimize their tension and stress from daily life and release physical, mental, or emotional pain resulting from any type of trauma or limitation. Her sessions facilitate a more balanced flow of energy and a stronger feeling of joy, freedom, vitality, and inner peace. She brings deep focus and presence to each of her sessions and fosters an atmosphere of complete safety, acceptance, and wholeness. Marybeth offers classes and consultations in spiritual development, meditation, intuition, and personal growth through the Free Soul Program. Free Soul is a non-profit education program that teaches practical skills for stress management, inner calm, natural mood elevation, mind/body self-healing, soul awareness, heightened intuition, and more. The program was founded by Pete Sanders in 1980 in Sedona, Arizona. Pete is a 1972 honors graduate of M.I.T., where he specialized in the field of brain study. The program incorporates scientifically sound mind-body-soul techniques developed by Mr. Sanders to help people tap into and realize their full potential. The program recognizes our innate spiritual and intuitive abilities and guides students in developing them safely and responsibly. In Pete's words, "The primary purpose of Free Soul is to share skills that help people be their own best spiritual teachers." 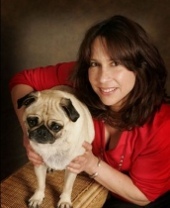 Marybeth has been a Certified Free SoulTM Instructor and Counselor since 1987. To make an appointment with Marybeth, please call her at 703-298-2692 or email her at marybeth@lotusrosehealing.com. For a complete description of Marybeth's services, visit her website: www.lotusrosehealing.com. ** Please come fragrance-free since some of our meditators have fragrance sensitivities, and perfumes, colognes, etc. can make breathing difficult. Thank you! Meditating in a group helps maintain focus and creates a synergy that expands and deepens the power of the meditation. All are welcome, from beginners to experienced meditators. Come whenever you can. Because of space limitations, please let me know if possible by 10:00 that morning if you're planning to attend. After 10:00, I won't be checking e-mail, but you can reach me by calling or texting my cell phone (703) 298-2692. There will be no charge for the sessions, but if you wish to leave an offering to help defray any costs (which should be minimal), please feel free to do so. I hope that by sustaining a regular monthly meditation hour we can support one another in deepening our meditation practice and enhance our experience of inner peace and connection. This, in turn, will send ripples of peace and balance into our larger world. Questions and information: Contact Marybeth by e-mail at mlsrelax@verizon.net or by phone at (703) 298-2692. Thank you - Hope to see you there! Anam Cara welcomes Marcus Walther to our family of practitioners! Marcus is an integrative bodywork therapist, specializing in craniosacral therapy and energy balancing. He is board certified in therapeutic massage and bodywork by the National Certification Board for Therapeutic Massage & Bodywork (NCBTMB). His magic is in listening. Marcus specializes in helping clients relieve stress, pain and overwhelm so they can be true to themselves. His journey into holistic health began in the background of earning a Bachelor's degree in International Relations at the College of William and Mary. He began to explore and study our relationship to the universe. After college, his explorations led to a new understanding of plants, herbal medicine and the energy field around all things. In 1999 he enrolled in the School of Heart Awakening in Arizona, where he began to fine tune this energetic awareness. In 2002, returning to northern Virginia, Marcus immersed himself in the study of flower essences by working for a company called Perelandra, deeply integrating that which was seen in the native teachings: the Divine is in everything and that humans must honor and work together with this Intelligence to produce results that are balanced and without unintended side effects. In 2005, Marcus graduated from the Cayce/Reilly School of Massage in Virginia Beach, Virginia and has since been providing services at the Edgar Cayce Association for Research and Enlightenment(A.R.E.) Health Center & Spa. Additionally, Marcus works from a private office. His range of experience in bodywork and energy work is extensive, including biodynamic craniosacral therapy, Young Living essential oils, the emotion code, quantum touch, reconnective healing, flower essence therapy and more. 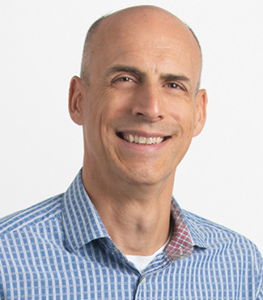 His passion is teaching and empowering you to connect with your own inner physician, using the skills gleaned from his many years of study and practice. Marcus currently lives in Virginia Beach with his wife, Carla. He also offers services once a month in Vienna, VA. He welcomes You to expand Your awareness. Feel the magic that is You! Anam Cara welcomes Elizabeth Beaudry to our team of practitioners! Elizabeth is honored and grateful to have a home within Anam Cara Wellness. She specializes in Reiki-based energy work, as well as unique therapeutic massage techniques. She first learned Reiki in 2008 and went on to become a Master Teacher in both the Usui and Karuna Reiki traditions. Over the years, her energy work has evolved and expanded to include light healing, light language, breathwork, acupressure, chanting and traditional healing practices. In her holistic sessions, she loves to share tools for her clients to take home - including energetic self-care techniques, how the breath influences wellness, meditations, guided imagery and mantra recitations. In 2011 Elizabeth became a licensed massage therapist and began to develop an interest in highly specialized skills to help people "on a deeper level." She works with women and men who are either actively trying to achieve pregnancy or interested in preparing for a conscious conception down the line. Fertility Massage is designed to be used as either a stand-alone service or can be safely combined with Assisted Reproductive Technologies (ART) and certain medications. The protocol can assist with hormonal balancing, digestive and reproductive cleansing, increasing circulation in the pelvis, stimulating reproductive organs and lowering the accumulation of stress hormones within mind, body and spirit. 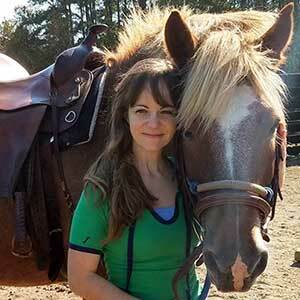 Elizabeth's other offerings include Swedish Massage, Prenatal Massage, Abdominal Massage and Animal Reiki. Elizabeth draws upon her own success with aromatherapy by incorporating essential oils into her sessions. She enjoys teaching classes, including Reiki Levels 1, 2, and 3, as well as other types of informative workshops. Check out and follow her Facebook page, to hear about upcoming classes and events: www.facebook.com/NamasteSpiritWellness. By learning new tools to take home, she believes we can become active participants in our own healing journeys and thus more empowered in our own lives. To make an appointment with Elizabeth, please reach out: info@namaste-spirit.com or 703-489-1679. For further information, visit Elizabeth's website: www.namaste-spirit.com. Anam Cara Wellness welcomes Lorna C. Lenigan to our team of practitioners. 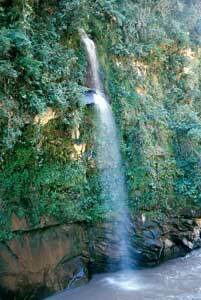 Lorna began her journey as an energy healer while in South America nearly 20 years ago. She has since become a Reiki Level III Master practitioner and is passionate about sharing Reiki with her clients, friends and family. Lorna grew up in Honduras and then lived in Santiago, Chile working as an event planner and tourism advisor for the government of Honduras in Chile. She returned to Honduras but left again after the country was devastated by Hurricane Mitch. She came here to the U.S. in 2000 to start a new life and to work as a District Manager for a company in Washington... Due to health issues that led Lorna to holistic health practices and consequently improved health, she was inspired to follow her true path once again of assisting others and became a Reiki practitioner in 2012? Lorna also assists self- healing through Chakra Balancing and Theta Healing and will integrate either modality with a Reiki session upon request. Lorna is fluent in Spanish and English and since 2008, has maintained a successful business teaching Spanish to students of all ages and levels. You can also find her online at "Spanish by Lorna". Lorna's positive energy and empathetic heart will make you feel welcome and cared for. If you would like a Reiki and/or Chakra Balancing session with Lorna, please call her at (703) 587-5185 or email her at clenigan@msn.com. Chakra Clearing and Balancing can be a very effective modality to bring peace and balance to the mind, body and spirit. 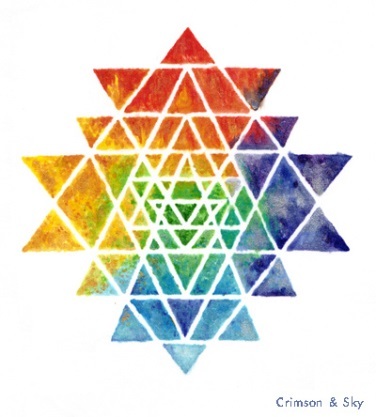 Chakras are spinning wheels of life force energy (chi) centers within the body that can become stagnant and dysfunctional due to stress and environmental factors. 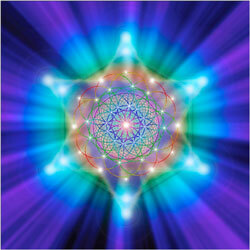 Lorna uses energy work to clear, open, balance and enhance the flow of chi in your chakra system. When our chakras are balanced, we feel and look refreshed, renewed, and relaxed. We can’t get enough of our friend Endre’s beautiful gallery. Click here to view or purchase virtuoso violinist and award winning photographer Endre Balogh’s beautiful sacred geometry. Be enlightened! The Belavi features the use of cosmeceutical and organic grade botanicals that cleanse, tone, clarify and moisturize the skin while engaging the senses. Our Belavi clients truly love this pampering treatment and their firmer glowing skin. This treatment is a highly effective, luxurious, and safe method of treating the problems of aging skin. Originally developed in 1982 by the founder of the Award Winning Belavi Institute, this 75 minute session includes specifically designed massage, acupressure and lymphatic drainage techniques to firm and tone the muscles of the face and neck effectively lifting the skin. Clients see and feel the difference after the first treatment. Other benefits include increased blood and oxygen flow promoting nutrition to the skin cells, stimulation of elastin and collagen production, lymph drainage to remove toxins, smoothing of facial lines and wrinkles, stress reduction, and many more. Anna Schachinger has been trained and certified by the Bellanina (formerly Belavi) Institute in the art of this anti-aging facial treatment. For more information about Belavi or to make an appointment, please call Anna at (571) 236-8096 or email her at Annie@AnamCaraWellness.com. Anam Cara Wellness features Bellanina (formerly Belavi) products for purchase, some of the highest grade organic and botanically based skin care available. Reiki (pronounced Ray-Key) is a system of Enlightenment and a Hands on Healing art developed in the early 1900's by Mikao Usui in Japan. It is an art that is passed from Master to student. The word Reiki comes from two Japanese words - Rei and Ki, meaning Universal Life Force Energy. The term "Reiki" is used to describe both the energy and the Usui system of using it. A standard treatment includes placing the hands on various areas of the body, such as the head, shoulders, stomach, knees and feet. People's experiences vary during a Reiki session; however, most people feel the energy as heat. They may feel tingling, vibrating or waves of energy from the hands of the practitioner. As the Reiki energy begins to release blocks caused by tension, anxiety, fear, or other negative thoughts and feelings, some people drift off to sleep or enter into a light dreamlike state. Some see colors, report spiritual experiences and mystical visions. At the end of the treatment, one feels relaxed and refreshed with a positive, more balanced outlook. Reiki is excellent for assisting in the healing of any physical, mental, emotional and spiritual issues of any kind and it gives wonderful results. Information about the benefits of complementary therapies for patients with asbestos cancer from Mesothelioma.com. “I've been going to Anam Cara for years and would not think about going anywhere else! Anna and her team are awesome! Everyone is very professional and they really care about you! Your session is customized to how you are feeling that day. If you haven't tried reflexology or Reiki, I'l highly recommend it that! I have arthritis in my knees and after my session, I feel like I'm 20 again. The massages are amazing too! "At the age of 29, I was suffering with chronic pain and fatigue. There were days it was a chore to get dressed or take a shower. Polarity treatment saved my life. I was taking a regiment of drugs but I wasn't getting better. It wasn't until I began Polarity treatment that I began to reclaim my life and get my body back. Those sessions were the highlight of my week and nothing would prevent me from making my appointment. During the sessions, I was able to escape to a place without pain and dream of a life where I no longer winced when I put my shoes on. My once broken body is fully healed and I attribute my recovery to Maggie's love and the Polarity treatment. I can't say enough wonderful things about this therapy!" Anam Cara Wellness donates a percentage of their profits to Freedom In Creation and it's amazing outreach program in Uganda. Freedom in Creation, founded by Andrew Briggs of Oakton Virginia, empowers war-affected or at-risk communities through increased access to the therapeutic qualities of art, international education, and fresh drinking water. 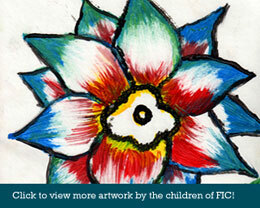 Some 65,000 children are overwhelmingly the most affected victims of this war torn country and by providing therapeutic art classes for at-risk children and exhibiting their artwork internationally, FIC raises funds to provide participating communities with water and educational infrastructure. Having taken part in the process, the children are credited with bringing the water and infrastructure projects to their community. It's amazing to see how one person's vision has lead to bringing about such positive and healing changes to many. But, they still need our help. For more information, please go to www.freedomincreation.org. Anam Cara Wellness Services LLC encourages you to actively participate in enhancing your health and well-being. Information can assist you to do this confidently and effectively. However, the products and services discussed on this website are not intended to diagnose, mitigate, treat, cure or prevent a specific disease or class of diseases. The material on this website is intended to be informational only and is not to be construed as medical advice. You should consult your family physician if you are experiencing a medical problem. Anam Cara Wellness offers reflexology, massage therapy, reiki, Belavi facial massages and other services and their Vienna, Virginia location is convenient to Oakton, McLean, Tysons Corner, Fairfax, Chantilly, Burke, Annandale, Falls Church, Arlington, Alexandria, Reston, Great Falls, Herndon, Centreville and other areas of Northern VA.